Discussion in 'Figure Shows, Workshops and Events' started by Peapot, Sep 30, 2018. 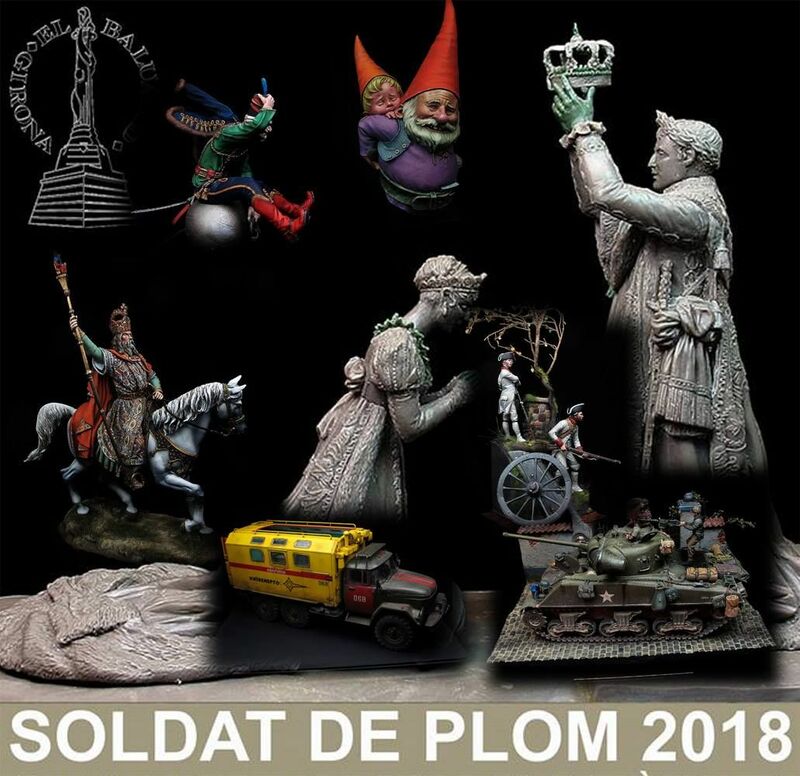 I have a holiday planned to Girona and Barcelona, coincidently at the same time as Soldat De Plom 2018 which is on in Girona. I am thinking of taking some of my painted models to enter into the competition, but I do not seem to see much information on the event? I had spoken to Juan at Art Girona in the Summer who had mentioned the event to me. So my question is does anyone know any details of the event and are going? Anyone going who fancies a drink and or talk etc while there please let me know. My wife and I are in Girona for 4 days then onto Barcelona. Blind Pew and pmfs like this. Okay, I will keep an eye out for you. Tubby-Nuts2, DEL, Blind Pew and 5 others like this. Looks a brilliant show judging by the pictures-hope you had a good time. Paco and pmfs like this. Thank you for the pictures, Paco! What a great show! And the setting is fantastic! Hope everybody had a great time ...certainly looks like it ! Thanks for pictures Paco, they are very well taken. Thanks for the great pictures. Wonderful setting and show. That really did look like one helluva show. What a great venue - and some superb, top rate examples on display. Looks like you have to create some sort of account to view these. You have to smash the download bottom on the right upper corner "Descarga"